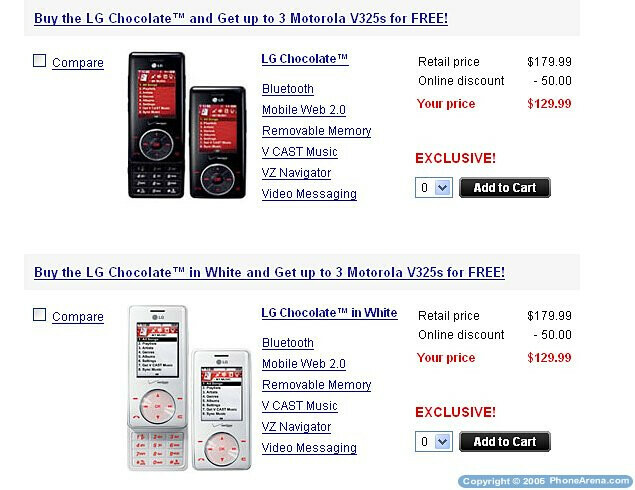 We already showed you the three new flavors of Chocolate phone Verizon will offer, as well as the clamshell version that seems to be even tastier, but today the Verizon Wireless webpage already offers the White version of the popular device. We are happy to see that it's at the same price as the original black version, and there is no extra charge for being different with the white even more iPod-like phone  it is still $130 after rebates. We expect soon the Lady-pink and Lime-green colors, and hope that Verizon will keep the same price for them, too.